Jigsaw works with retailers to breathe new life into sales strategies, responding to market demand and improving revenues. Our expert team is experienced and well-connected, with a proven success rate of encouraging customer loyalty and generating conversions across the UK and worldwide. How do we do it? We work as an extension of your business, introducing innovative products and solutions that are thoughtfully tailored for each brand and target market. Our close relationships with popular high-street retailers and other major organisations offer us valuable insights to advise our clients, who include Nike, The White Company, Decathlon, Clarks, Joules and Equiniti. Jigsaw’s extensive experience in the gift card and payment markets means we can offer you full support, from concept, board approval and development right through to launch and ongoing management. Our managing director John Bohan launched several successful schemes as Head of Sales for Marks & Spencer, including gift cards, prepaid cards, gift card malls and digital vouchers; as well as launching John Lewis Solutions For Business. He is the former Chairman of the UKGCVA (UK Gift Card & Voucher Association) and is an ambassador for the Emerging Payments Association. What makes Jigsaw different is the fresh approach we bring to UK retail and the international marketplace. We pride ourselves on our vision of delivering new and innovative solutions and bringing incremental revenue to our clients. We live and breathe the brands we work for, bringing an impartial perspective to make sure we recommend the right solutions for you to drive your gift card and payment strategy forward. “Success is a journey. With more than 20 years’ experience in the retail and gift card industry, I took inspiration from my previous roles at John Lewis and M&S to set up my own company, Jigsaw Business Solutions in 2013. There was a high demand for new and innovative solutions in the retail market place and a chance for a new business like Jigsaw to shape the future of gift cards and payments. The Jigsaw team doesn’t believe that the same strategies work for every business. We listen to what’s needed and recommend solutions that we feel have a genuine prospect of improving revenue. This impartial approach helps us build strong and productive relationships with our clients and partners. We help retailers launch and improve gift card, payment and retail revenue channels for customers. We start with workshops and market research to determine precise requirements and objectives, followed by careful planning at every stage of development and delivery. Ensuring we deliver a multichannel solution and best-in-class product, we help maximise revenue in-store, online and in gift card malls. We also offer post-launch maintenance and support for evolving opportunities. Our experience working with major brands has given us a wealth of in-depth knowledge about running gift card and payment channels. 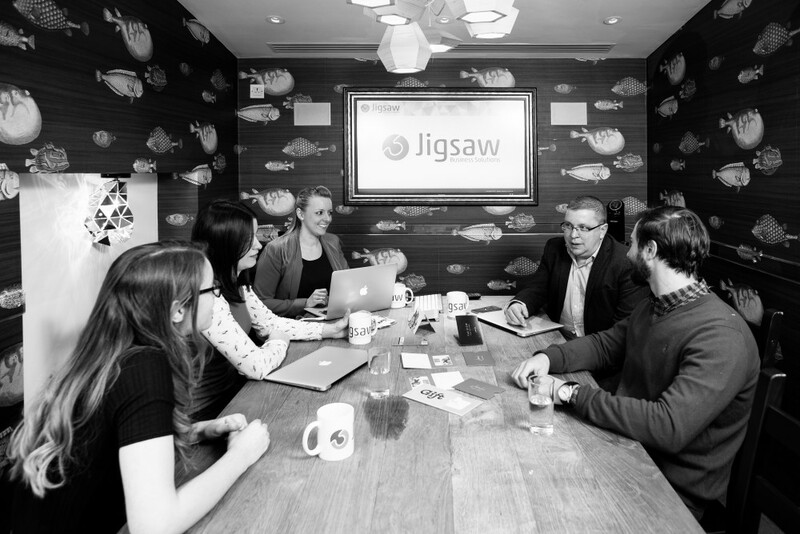 At Jigsaw we offer a fully managed outsourced team solution, which allows our clients to get on with their day jobs. This includes everything from processing and design to printing, fulfilment and execution of your programs, in-store, online and B2B. The UK gift card market is worth £6bn, 50% of which represents the B2B sector. Gift cards can be used to motivate staff, attract clients and lots more. Jigsaw can help launch a B2B channel for the first time, managing call centre resources, invoicing and fulfilment as well as driving long-term and innovative partnerships. Already got a B2B channel? We can use the same approach and logic to deliver increased revenue and a streamlined solution. After 20 years of working with the UK’s top retail brands, Jigsaw can bring extensive experience to the multi-channel retail environment. We work closely with our clients’ internal teams and key stakeholders, providing ongoing advice about emerging retail revenue opportunities. Our network of contacts means that whatever your challenge, we can find the right solution to drive your brand forward.